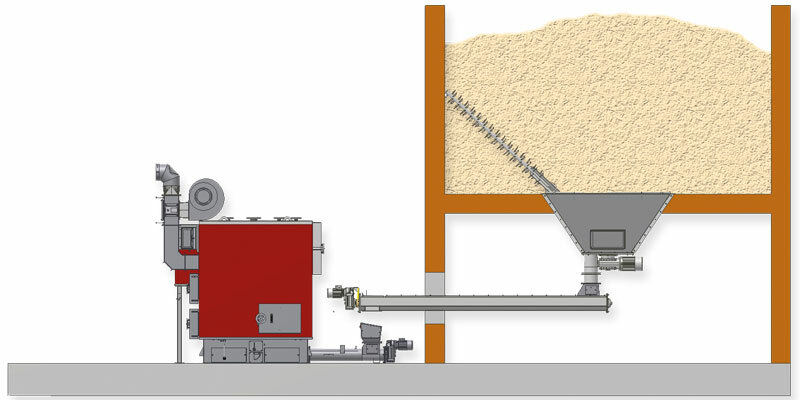 BINDER offers different types of extraction systems depending on type of fuel used or on-site requirements. The main purpose of extract systems is conveying fuel from a storage area to a subsequent fuel transport device. 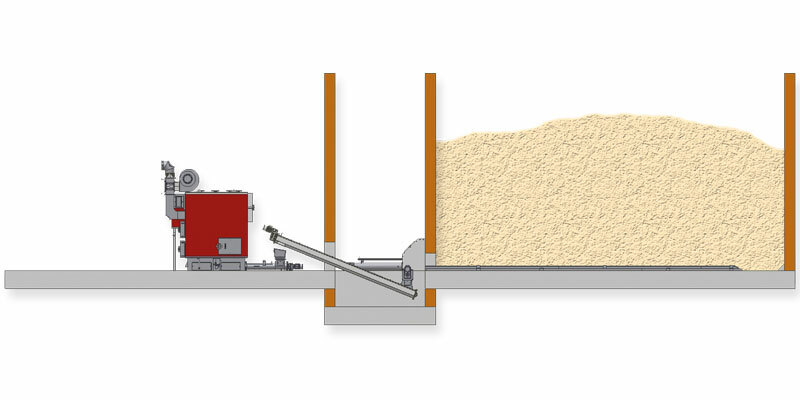 Auger with adjustable pressure relief cover for transport of pellets out of a rectangular room with or without slanted floor. Depending on the fuel store size with or without universal joint. The sweep-arm agitator is a load depending helical cutter. 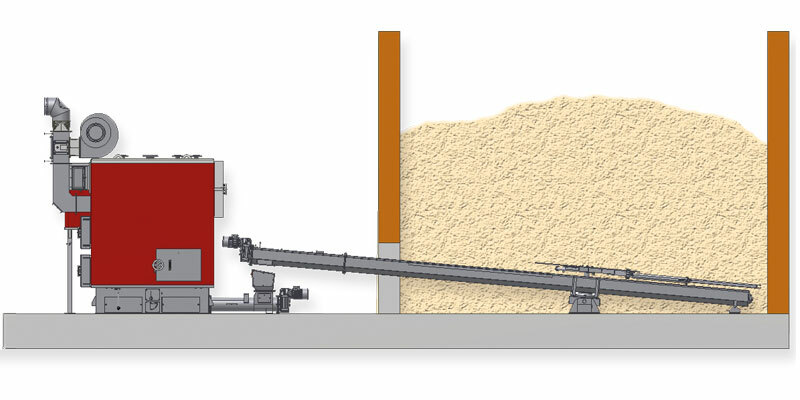 The substantial sweep-arm is independently powered from the auger and operates depending on the amount of fuel inside the fuel store, with variable diameters. 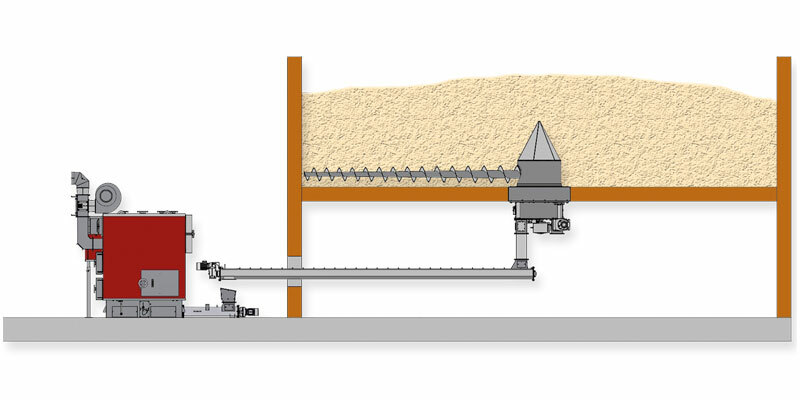 Free wheeling spiked auger for fuel extraction out of silos accessible from below. Extremely robust, welded steel grid with a hydraulic ram. 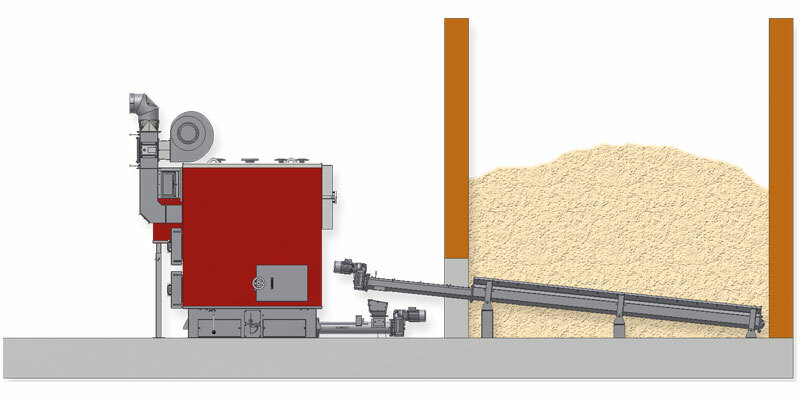 The walking floor is pushed by the hydraulic ram into the fuel along the fuel store floor and pulls the fuel towards the subsequent transport system at the front end of the walking floor. Filling height Depends on design of walking floor and the fuel store size. Typical application With boilers from 500 kW nominal capacity upwards.